Here, we’ve covered the latest and best Android mobiles that you can buy within 15999 to 19990 Rupees budget. The devices we’ve shared here will deliver as per your expectations. They provide a great Android OS experience and have powerful high-resolution cameras. The phones have a nice design and the latest features. They ship with 6GB, 3GB or 4GB RAM and cost within Rs 16000, 18000, 20000. They have a 64-bit quad-core or an octa-core processor. Galaxy On8 is one of the newest Samsung Android phones on our list. It flaunts a large 6-inch Super AMOLED HD+ display with a pixel density above 280. It has 4GB RAM, 64GB storage memory, and a dedicated MicroSD Card slot. Galaxy On8 features Android Oreo operating system. It packs a nonremovable 3500 mAh capacity battery. This handset from Samsung supports 3G, 4G-LTE, WiFi, Bluetooth connectivity and it can read two SIM cards at a time. It has a 16MP front and two back cameras with 16MP and 5MP sensors. It supports FHD video recording. On8 supports GPS/A-GPS navigation. It is powered by a Qualcomm Snapdragon 450 1.8 GHz octa-core processor. Galaxy On8 costs Rs 17000. Honor 9i is a dual SIM full HD phone with a 5.9-inch display and dual front/rear cameras. Its display is powered by Huawei Color Enhancement technology. 9i sails on Android 7 operating system and it features an octa-core Kirin 659 2.3 GHz processor. The handset provides a Hybrid SIM slot and it packs 4GB RAM. Honor 9i boasts CDAF and PDAF enabled 16MP + 2MP rear cameras. It offers a 13MP + 2MP selfie camera and a fingerprint sensor. It ships with a 3300 mAh battery. The handset has an impressive storage capacity of 64GB. Honor 9i supports VoLTE technology. Its weight is 164 grams and thickness is 7.5 mm. 9i is one of the slimmest phones in India. It costs 16000 Rupees. P20 is a dual SIM Huawei phone that ships with a 2.30 GHz octa-core Huawei Kirin 639 processor and an advanced Mali G71 GPU. It runs on the Android 8.0 O.S powered EMUI ROM and sports a 5.84-inches touchscreen display with 451+ pixel density and 1920 x 2280 pixel resolution. Huawei P20 has 4GB RAM, MicroSD slot, and it supports 2G, 4G, 3G connectivity. It is fitted with 64GB storage memory. The handset supports dual Bluetooth and Face unlock technology. It also includes a fingerprint scanner. P20 supports storage expansion with up to 256GB MicroSD card. It features a 24MP front camera with LED flash and rear 2MP/13MP camera with a large Aperture lens. The camera lets you take pictures and record videos in low light conditions. P20 is priced under 20000 INR. 2 SIM card slots, dedicated MicroSD card slot. Android Nougat OS version 7.1. Octa-core MT6737T 2500 megahertz MediaTek processor. High-definition 5.7-inch In-cell TFT display with 282-pixel density. Mali G71 MP2 graphics processor. 8MP front camera and 13 megapixel back camera. Flash support, 7.7 mm thick, weighs about 149 grams. 3180 mAh capacity battery, a fingerprint sensor. 64G storage memory, 4GB RAM. Bluetooth, WiFi, 3G, EDGE, distance, light, proximity, light, and g-sensor. The price of Oppo A83 handset is 14900. Infinix equips its budget mobiles with good features. 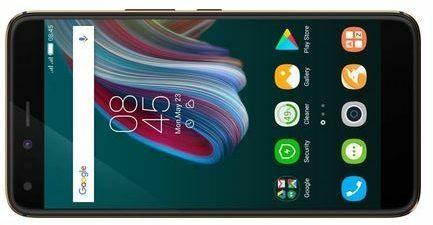 As Zero 5 Pro is the company’s flagship device, it offers out of the box features for a budget price. Z5 is a well-designed handset with nice features. It packs high capacity battery and offers superb cameras. The hardware in Infinix Zero 5 is compatible with the current as well as the upcoming versions of Android. Currently, Zero 5 runs on the Android Nougat OS. When it comes to specifications, this handset has 4350 mAh battery, dual rear cameras (13MP + 12MP), 6GB RAM, and a 5.97 inches full HD screen. It features a front 16MP camera and 128GB storage memory. Z5 has a MicroSD tray and it includes octa-core P25 Helio series MediaTek processor. Infinix Zero 5 supports Internet browsing with 4G or 3G technology. Its price is INR 19990. N7 Plus is the latest Nokia phone under 20000 Rs in India. This handset has a metal unibody design and it is 7.99mm thin. It provides 2 days backup and features Carl Zeiss sensor equipped cameras. Nokia 7 Plus runs on the Android Oreo operating system. It features a 6.0-inch IPS touchscreen capacitive Full HD+ display with Corning Gorilla Glass. It carries LPDDR4 4GB RAM and 64GB storage memory. N7P packs a MicroSD card slot for storage expansion, and it has a big 3800 mAh Lithium Polymer battery. It features 4G, VoLTE, 3G, EDGE, WiFi, Bluetooth connectivity options. It has a 16MP full HD front camera. This Nokia device employs an octa-core 1.6 GHz 64-bit Snapdragon 660 octa-core processor and it packs a fingerprint sensor. It includes 13 + 12 megapixels back camera. It’s priced at 18000 Rs. J7 Max is a powerful Samsung phone with excellent camera specs. It has a 13MP rear camera along with a 13 million pixel front-facing camera. The cameras of this Samsung mobile employs a CMOS sensor. To improve picture quality in low light conditions, Samsung has added a flash system to this handset. J7 Max has smart features. Its launcher app supports lock screen notifications. It offers plenty of customization options. J7 Max supports WiFi, Bluetooth, 4G-LTE, and USB connectivity. This Samsung handset features Android 7 OS. It will get regular Android OS updates for sure. It has a beautiful full HD 5.7 inches LCD PLS IPS display. J7M employs a MediaTek octa-core processor clocked at 1690 MHz along with 4GB system memory. Battery backup is excellent as this 4G smartphone under 20000 INR includes a nonremovable 3300 mAh capacity battery. The Galaxy J7 mobile’s price is Rs 17000. G6 is the latest Motorola phone that you can buy for below 20000 INR. It provides impressive features and costs 16000 Rs. Moto G6 features 4GB RAM and 64GB ROM. It boasts a 5.7-inch FHD+ touchscreen display that employs Gorilla Glass screen protection. Its screen has 402+ pixel density and good viewing angles. G6 features a 3000 mAh lithium polymer battery, MicroSD card slot, and Android Oreo operating system (Version 8.0). It is powered by a Qualcomm 650 Snapdragon octa-core processor and a new generation Adreno 506 graphics processor. G6 offers 2 rear cameras powered by a 5MP and 13MP sensors. It flaunts a 16MP front-facing camera. It offers a single rear/front LED flash system and supports 3G, VoLTE, Bluetooth, WiFi, 4G LTE connectivity. G6 weighs 150 grams. G6 features a fingerprint sensor and a MicroUSB port. It’s yet another top mobile that you can buy for below 20000 Rs in India. Conclusion: Infinix Zero 5, Nokia 7 Plus, Huawei P20, Oppo A83, Moto G6, Samsung J7/On8, and Huawei Honor 9i are the best phones under 20000 in India for this month. They have rich features and powerful hardware. Honor View 10 vs OnePlus 5T: Which phone is better? Hi, I’m confused. Which phone should I buy for a budget of 20000? Can you suggest me a few mobiles with good camera? I prefer a gaming phone for playing Asphalt 8, etc. Can anyone suggest me the phone that has a large battery and a camera that can capture in the night. My budget is under 20000. I want to buy a phone with 64GB ROM, 4GB RAM, minimum battery 4000 MAH, good camera and of course dual sim slots with separate SD Card slot. Which phone is the best? Which is better – Moto M or Mi Note 3? Which is better phone among Samsung j7 prime and vivo v5? I click a lot of pics since my kid is young. I also love listening to music on the phone. I don’t play games. You can choose samsung even closing your eyes. Buy j7 prime it will never disappoint you plus its processor is better than CHINESE Vivo. Samsung is already a proven and reliable brand moreover its cameras are the best as well as vibrant . Can you please suggest me a mobile with good battery backup, internal memory 32 to 64gb, ram 3 to 4gb, expandable memory 128gb, dual sim, 4g VoLTE, 5.5-inch. My budget is within 15000 to 25000rs. Previously, I got moto g4 through Amazon. The phone had sensor problem and I applied for a refund. Please suggest me a mobile. HTC Desire 10 has outdated GPU and processor found in 7k range phones. Sony Xperia XA Dual (branded phone) with 8MP front, 13 MP back camera, latest Mali GPU and Mediatek P10 processor is worth the money. Can you guide me which phone to buy in terms of good camera or I would say really good camera? my budget it 20k. Can u suggest me whether i shud buy samsung j7(6) phone or redmi note 3 ,32 gb variant?? Hello Pramod, your phone reviews are quite detailed and impressive. I have a quick question based on your reviews. Which one of the following phones is a better buy in terms of camera performance (both rear + front) under 20K price bracket? Moto Xplay, Lenovo Vibe X3, and Oppo F1s? Vibe X3 because it has better GPU and supports 2160p resolution images. I chose Sony Xperia xa dual. But one of my friends says, don’t invest this amount for this mobile, try some Chinese brands. Now, I am confused. I want to buy a phone with good performance (no hanging, acceptable camara, and battery). I use minimum 8 hr internet. Please suggest me a phone. If I were in your position, I would have bought a phone with a minimum 3000 mAh battery and 3 GB RAM. The companies you’ve mentioned are doing great business in China and India. They’ve captured the market share occupied by Samsung, Sony, HTC. If their products were of cheap quality, people wouldn’t have bought them. In other words, the brands are trustworthy. What about the Gionee S6s phone. Is it good or bad? Hi, I am looking for a smartphone with a very good voice quality under rs 20000/-. Main purpose is phone calls, email and rest of the smart phone features. Please suggest. Please suggest me a good mobile with excellent camera quality, dual sim slots, long lasting battery, Good ram (phone must not hang). Screen size must be 5″. 2nd preference: up to 5.5″. Budget: 15k, If everything is excellent, I can spend 3K to 4K extra. HTC 820s, Xperia Z Ultra or Nexus 5 if you want a phone from old and reliable brands. All phones get heated after several minutes of continuous usage. Mi4i is no exception.